Heading towards the Cathedral you can see on your right the Bishop's Palace dating from the 15th century and now being used by The King's School. It's gardens contain a large plane tree said to have been planted by Bishop Gunning over 300 years ago, the oldest plane tree in England. 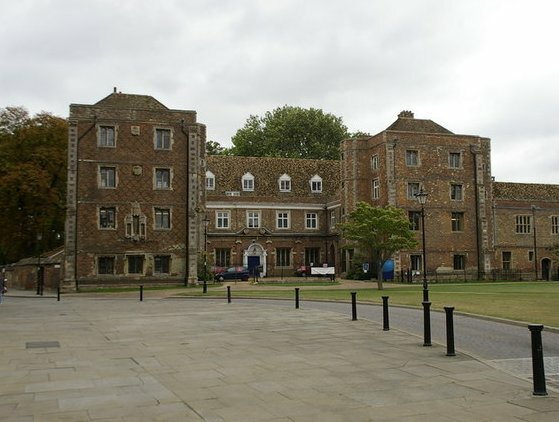 Opposite the Palace is a privately owned home known as the Chantry; it is on the site of Bishop Northwold's Chantry Chapel. The Cathedral and it's surrounding buildings were originally part of a monastery founded in the 7th century. The present Cathedral building was begun around 1083 and it took just over 100 years for the building work to be completed. Cross the road to the main entrance where there was once a gallery from the Bishop`s Palace, opposite, to the Cathedral for the Bishop's use: hence the street name "The Gallery".